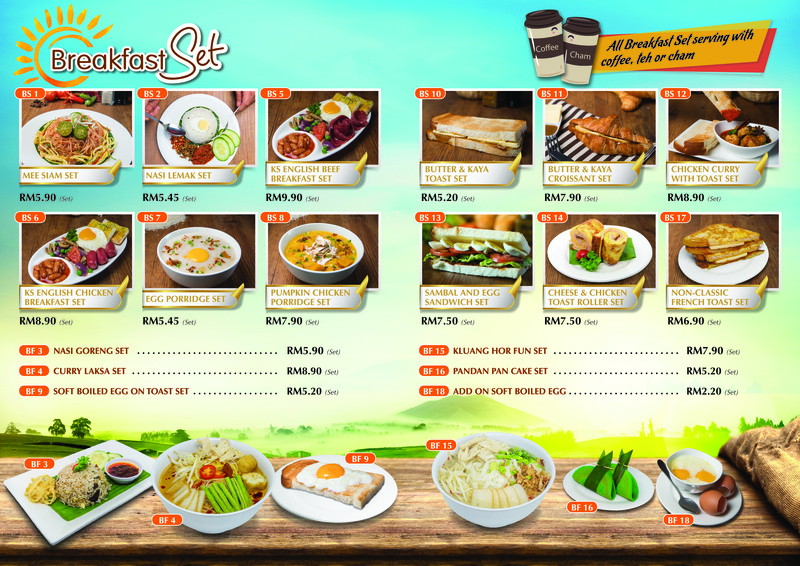 Breakfast Set available only at Kluang Station in Tropicana City Mall, 1Utama Shopping Centre, Tesco Ampang, Desa ParkCity. Should any discrepancy occur in published price, the pricing at restaurant point of purchase is deemed final. 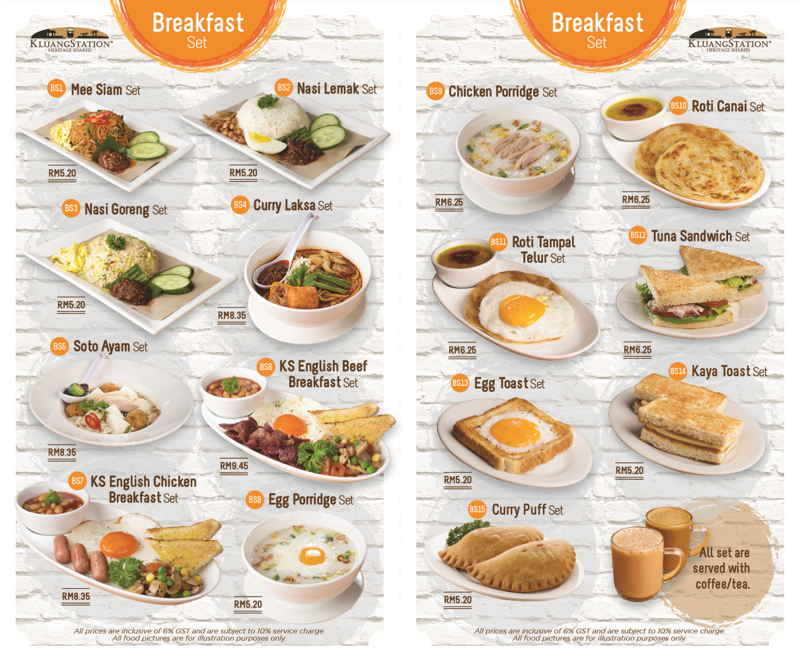 Management reserves the right to change and / or remove items from menu without prior notice. Terms and Condition Apply.